Let's play ball…for a cause! 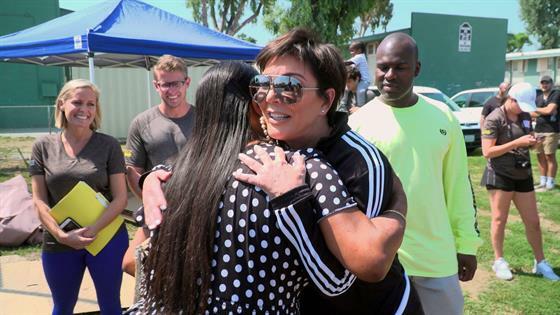 On Sunday's all-new Keeping Up With the Kardashians, Kris Jenner rallied her famous family to help renovate the Watts Community Center. After a particularly moving meeting with Red Eye executive director Justin Mayo, the momager resolved that she and her family had to lend a hand! "The average age of someone there is 21 and the largest group of people living there is the age group of 10 or younger," Justin explained to Kris. "So basically it's kids that are raising kids out there. Only 2.9 percent make it to college and over 50 percent drop out of high school. Police statistics say there's 7,000 gang members within two miles of that specific location." 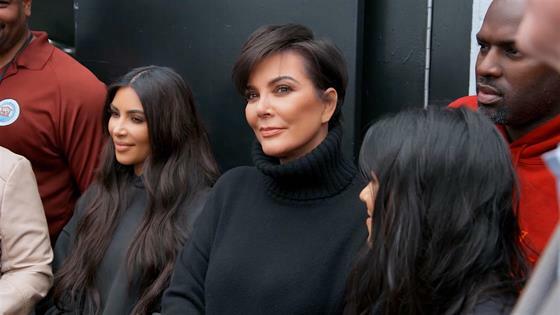 "Well we'd love to help you," the Kardashian-Jenner matriarch shared with Justin. "I'll talk to the girls and get everybody on board and we'll make it happen." Following a brainstorming session with Kim Kardashian, it was decided that the Kardashian-Jenners would participate in some sort of sporting event as a way to raise funds. Although Khloe Kardashian wanted to play dodgeball and Kim suggested an arcade league, Kourtney Kardashian dropped the winning suggestion as she came up with the idea for a celebrity softball game. "I think softball's the way to go," Mason Disick's mom relayed. "Alright, kids! It seems like a softball tournament," the Good American founder declared. The star-power behind the competition rose to new heights when the Kardashian sisters reached out to family friend TJ Jackson to see if the Jacksons wanted to play against them in the tournament. "Tito Jackson is a member of the Jackson 5," Kourt dished later on. "We grew up with his three boys, they've pretty much been in our lives since pre-school. And they've always played baseball so I thought, ‘There's no one better to do it with.'" Thankfully, TJ was down to help and agreed to talk to his family about the charity game. Sadly, the Kardashian-Jenners may've bitten off more than they could chew as they struggled through the first softball practice. As Khloe was pregnant at the time, she was relinquished to the role of coach and was left unimpressed with her family's skills on the field. "Is this the mound?" a confused Kim asked Khloe. "No, the mound is there," the Revenge Body host explained. "That would be the pitcher's mound." Unfortunately, the KKW Beauty boss was still thoroughly confused as she mixed up the locations of first base and home base. Kris then tried her hand at pitching, which resulted in Kim trying and failing at hitting balls. "The first softball practice is terrifying," Khloe admitted in a confessional. "It's just chickens with their head cut off running around this field. It's not good." Things only got worse when Kanye West's wife tried to be a pitcher. 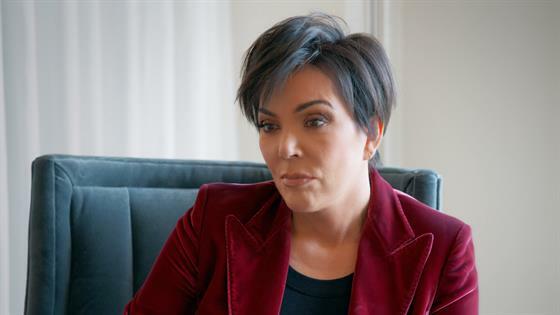 Not only did Keeks knock the momager off her feet, but Kris was left with a wrist injury too. Understandably, this incident left Khloe wondering if Kim was "aiming" for Kris' head. "No! I'm not evil," Kim defended to Khloe. "She was just so dramatic." With Kris' injury leaving her unable to play, Khloe put pressure on the family to lock in additional teammates. Per KoKo, the Kardashian-Jenners were just "super unorganized" and "screwed." 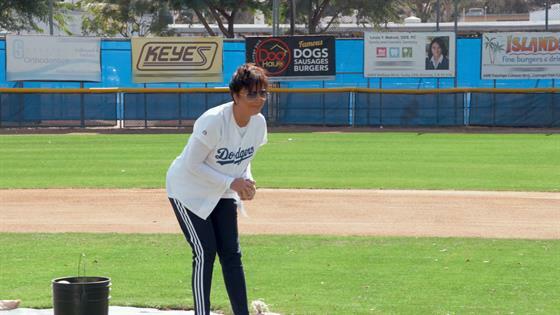 In an attempt to help the struggling team, Khloe recruited UCLA assistant softball coach and former Olympian Lisa Fernandez to join them at their second practice. "Lisa has so much patience 'cause everyone is just a mess," Khloe noted to the cameras. "No one knows what they're doing, no one's listening, they're just all running around. This is gonna be tough." Nonetheless, the practice ultimately turned around as Kourtney hit some balls and the team got more in-sync with each other. By game day, the Kardashian-led team was still struggling so Kris brought retired baseball legend Alex Rodriguez along to serve as coach. "We need to win this game. The Jacksons have to go down, okay?" A-Rod advised the team. "Number one thing I want you to focus on, very simple, look at the baseball and do not stop looking at the baseball." Despite Alex's wise words, the Jacksons ended up winning the charity game. However, the loss didn't deter Kris' brood from donating to the Watts Community Center. In fact, thanks to Kris' many connections, the in-need center got a complete makeover. Adidas jumped on the charity project as they felt that "creating safe places to play for kids" could be "life-changing." This ideology would explain why the major company agreed to redo the entire outdoor play area. As for inside the community center, Bluprint "really went over and beyond with their donation towards the new kitchen." Yet, as Kim relayed at the end of the episode, "there's definitely so much more work that has to be done." Watch the video above to see everything that went down on this week's episode.